Yes, you may have noticed that I have turned into a crazy cat lady! Now we have our little pet Twiggy, T decided that she should have a Christmas stocking, so I've been thinking about things I can either buy or make for her. The intention was that T would help me with this, but he got bored... quickly... And so I did it myself. 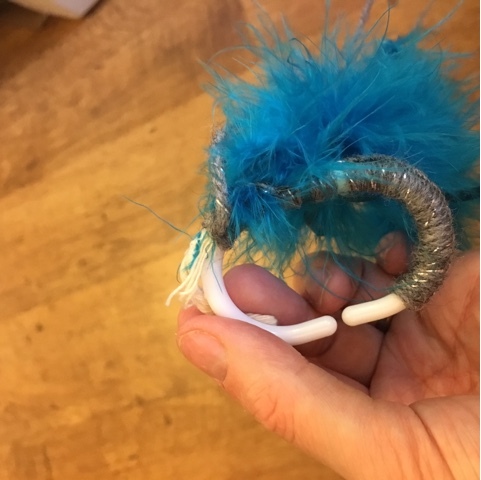 Twiggy actually was the inspiration for this toy as she has a fascination for my hair bands and can often be found batting one around the floor a bit like a frisbee! 1. 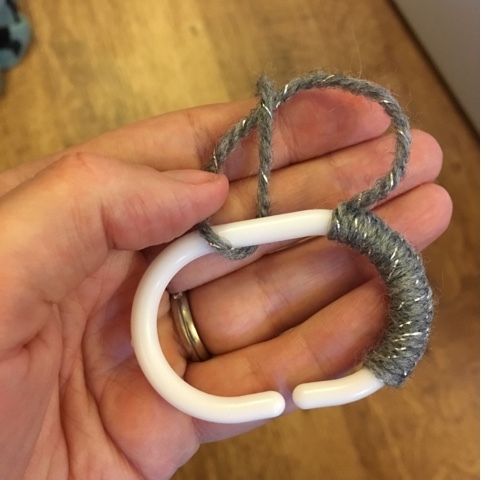 Start off by threading the wool around the shower curtain hook, the easiest way I can explain how to do this is like casting on when knitting. It's pretty difficult to explain but really easy to do, I hope the photo above demonstrates it as week as I think it does! If not, please do leave me some feedback! 2. When you are about half way round tie the ribbons and feather edging if you are using it. Continue to work your wool around the hook making sure you cover all the ends from the ribbons. 3. I didn't go right to the edges as I'm pretty sure if I did, Twiggy would pull it off. 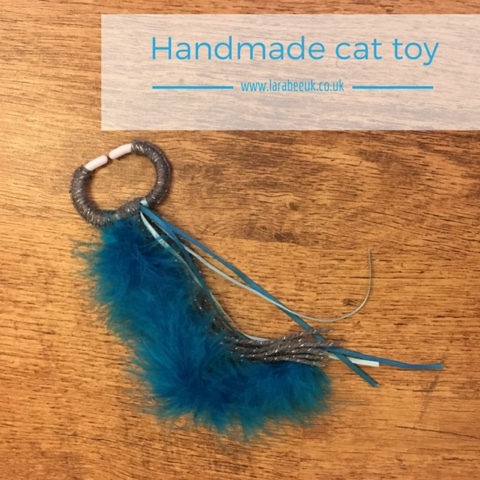 I hope you like my first cat toy! 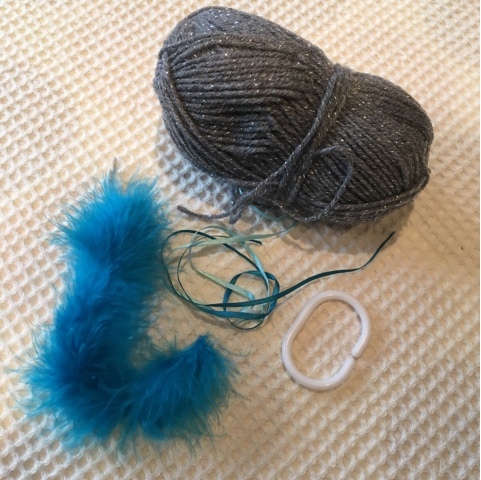 It does feel a bit weird writing a blog post for a cat toy but as she's part of the family we can't leave her out!